Kayala: 25 Sunday B: Who's the Greatest? 25 Sunday B: Who's the Greatest? – two teachings on humility, both woven into dramatic narratives (verses 33-35 and 36-37) which flow from the previous teaching. As usual, we are free to take each section separately, or then we can see an inner logic between them. St Mark gives a deeply moving account of Jesus at a new and decisive stage in his life’s journey. His glory days are over; the opposition has become more pronounced, he has decided that it is time to leave the relative safety of Galilee and go to Jerusalem where he will confront the powers of the nation, “the elders, chief priests and scribes” of last Sunday’s passage. So he begins his fateful journey, “making his way through Galilee,” as the text notes. This is a moment of truth then, not a time for miracles but for facing up to harsh reality. Speaking to large crowds would be inappropriate; it is the time for being alone with his faithful disciples and “instructing them” with his deep teaching. We think of similar moments in our experience (or the experience of great people who have touched our lives). The time for compromise passes, and the time for confrontation arrives. Being “delivered into the hands of men” means laying oneself open to one’s opponents. The confrontation is public, there is no hiding from it. We can identify with Jesus, the courageous leader who is fully conscious of the consequences of his decision to confront. He is now at peace with himself. He doesn’t have to work out problems of fear or hurt or resentment. He is therefore free to focus on training those who will carry on the work after he is gone and will have to hand it on to future generations, like ours today. We can also identify with the disciples. They are truly blessed to have a leader like Jesus. They will always look back on this time of spiritual formation with deep gratitude that they went through it. They will naturally feel some regret at how slow they were to understand what he truly meant. In the first teaching on humility (verses 33-35), the disciples are unable to face the issues raised by Jesus. They are too frightened and (as we all do in such situations) they take refuge in arguing about unimportant issues – greatness, status and power. Jesus on the contrary is unambiguous. His body language conveys the seriousness of the teaching. The text says that this happened, “when he was in the house. It adds that the following happened, “when he sat down”; he then “called the Twelve to him”. He clearly wanted to speak seriously to them about a crucial point in his teaching. A teaching on humility is very appropriate in the context of Jesus’ decision to go to Jerusalem. Only humble leaders who are not concerned about “who is the greatest” can face calmly the prospect of being “delivered into the hands of men”. They can then take what is offered to them and make the best of it. The expression “little child” can be taken literally. As often in the gospels however, we can give it a wider meaning. We can apply it to those who are “little” in any sense at all. These are society’s (or our community’s) drop-outs. They are what the bible calls “tax collectors, prostitutes and sinners”. The gospels have several teachings of Jesus on little children and each makes its own particular point, so we must focus on the angle being taken in the text before us. In this passage, the point Jesus is making is that leaders who “make themselves last of all and servants of all” have the capacity to “welcome” (in the sense noted above) “little ones”. They approach them not as objects of pity, as “the less fortunate”. They are, rather, precious gifts sent by God, “the one who sent Jesus”. He has much to offer and to teach us through them. Those who are concerned about who is “the greatest” are not able to see the greatness of the humble people of the world. We must all find ourselves in this wonderful text. It is certainly addressed to us. If we can’t recognise ourselves in it, it means that we have not really accepted that it is directed to all. Yet this is clearly what it is meant to be. join a political party or a social movement. and would be put to death in some way. and we concentrated on explaining ourselves to those closest to us. the only important thing in life was to carry out the service you entrusted to us. We thank you, Lord, that you gave us the grace to follow in the footsteps of Jesus. Lord, there was a time when we were afraid to think of failure. but focussed on being greater than anyone else. and felt free for the first time. teaching us that life is a cycle of death and rebirth. and put our arms tenderly around them. we make ourselves the last of all and the servants of all. through people we had looked down on. and welcome them as your messengers to us. that we spend our time on the road arguing about it. reminding us that we are truly great when we are the servants of all. and other organizations which follow their healing method. and welcome them as your precious gift..
– good customers, those who draw crowds, winners. and reminding all that in welcoming them they welcome you. Each week when we gather here we renew our commitment to being disciples: to following the way of the Lord on our pilgrimage through life. And as a pilgrim people we have been listening to Mark during this year as he reminds us of the demands of discipleship. Today we hear Mark reminding us as disciples that the core of the mystery we celebrate is that Jesus, the Son of Man was arrested, put to death, and rose again. This is the mystery of faith. But we also hear him warning us about how we can be distracted in our discipleship: instead of seeing this community as the group which must model the way God’s people should live, it can all too easily degenerate into being a group where people argue and compete for honours and position. 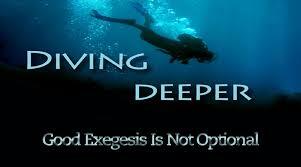 We as disciples have to both be focused on the Lord and recognise how often we fail as disciples. This is a unit of teaching in Mark — we can see this in that it supposes the same locality and the same activity of walking along the road to Capernaum while talking and teaching — but it is made up of two elements: (1) the so-called ‘second prediction of the passion’ (using this designation, the ‘first prediction’ occurred at 8:27-33); and (2) the dispute about greatness. But while splitting these verse into two like this makes great sense if one wants to study the gospels using the three synoptics together, it is less than useful if we want to hear the distinctive voice of Mark. For Mark these are not separate items of tradition just cut and pasted together, rather they are distinct lessons in what is the master-class on discipleship (today’s gospel opens a section of Mark’s gospel devoted to discipleship that runs to 10:31). All the stories on discipleship are intended by Mark to correct false notions about discipleship: the first being that the Christ will be a triumphant figure in history — for Mark he is an historical failure who is arrested and put to death, but whose resurrection after three days is the hope of the church. Mark has now abandoned — he is presenting this as Jesus’s open teaching to the disciples — the notion of the Messianic Secret, and so the disciples have to come to grips with the reality of the historical destination of discipleship: the cross. If the cross is the place to where discipleship leads, then the jockeying for position in an historical Jesus-run administration is all the more ridiculous — and so the second correction of false notions of discipleship. Mark’s staccato examples have an elegance lost in the prolixity of Matthew and Luke: discipleship is about the cross, great discipleship means service, not rank or position. For the ecclesial contexts within which Mark preached this material on discipleship, see the homily notes below. Care should be taken in making any comment on the phrase ‘he took a little child’ as attitudes to children have so changed in recent centuries that it often produces a very false reading of this text and its parallels (Mt 18:2; Mk 10:15; Lk 9:47 and 18:17). Our culture sees children as valuable and who symbolise innocence, purity, and humility. In the world of Jesus and his followers, the words for ‘child’ and ‘slave’ were interchangeable. In the gospel, the child is a representative of the ‘no-body’, someone without dignity or worth. In fact, the same point could have been made by choosing a slave, or a domestic servant, or, indeed, a woman. Read in this light, the teaching on the disciple as ‘servant of all’ (pant6n diakonos) takes on an even sharper significance. 1. Is there ever a case where straight forward exegesis should form the content of the homily? The vast majority of modern preachers would argue that exegesis belongs in the classroom or is too boring for the average congregation: the homily should be lighter, inspirational, and more like a communications soundbite. On the other hand, it is the gospel reading that is the centre of the Liturgy of the Word and an important reason for the reform of the Liturgy of the Word and an important reason for the reform of the liturgy after the Second Vatican Council was to ensure a more prominent place for scripture in the liturgy. Hence the purpose of the homily is to explicate the readings as the Word of God – and this necessarily involves exegesis. Most of us find a middle way: a homily that tries to draw the gospel into our human situation but which is influenced by exegesis or, at least, does not fly in the face of what formal exegesis can tell us about the meaning of the text. However, there is much to be said for occasionally preaching a homily that is a piece of exegesis: where the text can be explained without complex biblical background, and without a well-stocked larder of general knowledge about the scriptures, and where that exegesis will say something useful to an average person about their life, and where that exegesis helps bring out something distinctive about how one of the evangelists preached the gospel, because it was the richness of that variety that inspired the three-year cycle. 2. Today’s gospel is one that lends itself to a little bit of formal exegesis. 3. What does that gospel mean? •What Mark, and each of the other evangelists, selected for their preaching was to a large extent determined by the information their audiences needed to live as proper disciples of Jesus. •We see this in two ways in today’s gospel. •First, over the last few months we have been reading each Sunday extracts from Mark’s gospel. 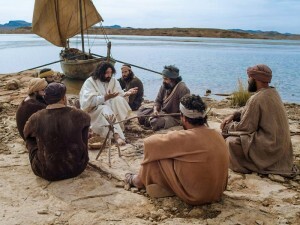 One of the distinctive things about his gospel is that very often after Jesus has performed a miracle or a healing in front of all the people, there is little command that’He wanted them to tell no one.’ What Mark was saying by this little device was that people should not think of Jesus just as a healer, or a teacher, or one who could perform miracles. These miracles were exceptional glimpse of how God loves us: to know Jesus is to know the one who was arrested, put to death, and who now is living in the church. To think only of the nice bits, was, for Mark, to get the whole picture wrong. Only when you looked at teaching and healing and dying and rising, could you say you knew the story of Jesus. •Mark wants there to be no confusion about the central mystery in the communities where he has been preaching: this is what no disciple can be left in any doubt about. •The radical message of Jesus was that each of us are children of the Father, hence we are brothers and sisters. As disciples, we are to love one another, share our gifts with one another, and our central common action is this gathering where we are each given a seat at the Lord’s table. Yet since the very beginning there have been people who do not like this aspect of discipleship, who want to preserve their worldly status within the church, and those within the church who want to compete for position as if this were just some other club. We know that such disputes were tearing apart the community in Cporinth about the time that Mark wrote. We know that it still happens, and we can suspect that it happened in several of the churches where Mark preached. His preaching is by example: you may be full of factions over who is the leader, and which people are the most significant. Well, it was so also in the first group; now listen to what Jesus said when he heard of these arguments. Now go and take that message to heart. •The test of discipleship is service to one another, and being willing to welcome those who are poor, needy, and from whom you can expect no return. This is typified in Jesus setting the child before them as an example. •Here we have a little bit of the earliest preaching: we still need to hear it to help us note precisely what is the kernel of the mystery we celebrate, and to be reminded just how easily our arguments within the church can be at odds with the vision of the new humanity Jesus preached. •We shall now hear that gospel read again, but this time we should be listening out for what Mark wanted his first audience to hear — and which still today we need to hear. Then read the text aloud at a slightly slower pace than usual — or, better still, get someone else to read it aloud while you sit down and listen. 5. Lastly, it is good to consider this description of the difference that exegesis makes: it is the difference between ‘hearing’ and ‘listening out’! Today’s readings are dealing with wisdom but from different perspectives. In the first, people who are caught up in themselves want to be rid of the wise person because his life points up the emptiness of their own. In the second, we see the consequences of choosing to live by the wisdom of God. The wise person is not necessarily rich, popular or successful and while these maybe the values which are esteemed in our modern culture they do not compare with being at peace with ourselves. This is the fruit of wisdom and is a gift to be prayed for with all our hearts. In the gospel, Jesus offers us the wisdom of the cross which focuses on our call to become like Jesus, the last of all and the servant of all. Pain sometimes can be the making of us. Beethoven is the classic example. Deafness hit him as a young man. It did not sit well with the young Ludwig. As a consequence, this period of his life was not distinguished. But once he had come to accept it, his genius bloomed. Arguably his Ninth Symphony is the most beautiful work of music ever written. If Beethoven had written nothing else, the Ninth would have won him immortality. Yet, the night he conducted the symphony for the first time, he could not hear a bar of his music. Nor could he hear the wild applause that greeted its debut. Yet, he sensed his labor was a triumph. So will we rejoice if we learn to master our pain as Christ would have us. When it comes our turn to die, as somebody has noted, God will not be shouting to us to help someone else. Rather, He will Himself be rushing to comfort us and He will be telling us that "His love is greater than our pain." Jesus tells His people that He must suffer and die. In verse 32 of today's Gospel, Mark writes, "But they did not understand what He said..." Perhaps Sigmund Freud would tell us the apostles were blocking out understanding. They had no wish to know what He had spoken to them on this dour subject. They wanted to hear only pleasant lines that promised them happy days. However, there should be none among us ready to throw the first stone at the twelve. Who among us gets our pleasure out of suffering? It is a condition we wish would become history. It is said that our conscious life begins with a cry and will end with one. In the first case, it is a shout of bewilderment. And in the second, it is often a cry of pain. The Gospels assure us that God will not turn His back on our pain. To underline that assurance He sent us His Son. We are, says Michael Himes, what God chose to become. The Jesus story of pain is familiar to us. But we are reminded that without a Good Friday there can be no Easter Sunday. The British writer CS Lewis wrote an incisive line in The Problem of Pain. "God whispers to us in our pleasure, speaks in our conscience, but shouts in our pain." And why cannot we as Christians shout to another who is in pain? A woman with terminal cancer told me how much the prayers and visits of a fellow Christian mean to her. That visitor brings with him a special broth, mums from his own garden, and the day's newspaper. Then they spend some time in prayer together. That man may be doing but a small thing, but he is doing it with love. In Frannie and Zooey of JD Salinger, we learn of Mama Glass' answer to all difficulties: consecrated chicken soup. Very often a chicken, run quickly through some boiling water, is just the medicine the doctor ordered for many of us. In Genesis rings that ugly question of Cain, "Am I my brother's keeper?" Christ gives a clear response, "YES!" The genuine Christian looks at the person in trouble and speaks, "I look at you and I see myself." Remember: "Great occasions for service come seldom. Little ones surround us daily." Furthermore, it is only through suffering whether it be our own or someone else's, that we for the first time begin to appreciate the gifts that God has given us. It has been observed that it took centuries for our ancestors to stand erect and put one foot in front of another. But, as our doctors testify, few of us take the effort to exercise. So, our bodies, these temples of the Holy Ghost, begin to come unglued before our eyes. Do we take care of this wonderful machine that is our body? Or take the question of sight. As one philosopher noted, so many of us look but do not see. Many of us confess to reading trash. But few of us take the time to read the magnificent prose poetry of the Book of Isaiah or the Psalms or Dag Hammarskjold's Markings. Why not refresh our spirits with the giants? Or the ability to pray. Reflect on Karl Barth's words. "To clasp hands in prayer is the beginning of an uprising against the disorders of the world." It is time to begin again. Why do we wait? But be gentle on yourself. Jesus attempted to reach everyone about Him, but He was not successful. Why should you get a hit every time at bat? Different hopes and expectations of the long awaited “age of the Messiah” collide in today's Gospel. A somber Jesus speaks cryptically of the death and resurrection awaiting him in Jerusalem, while those closest to him argue about their own greatness and status in the Messiah's reign (that must have been quite a conversation to elicit the strong reaction it did from Jesus!). The disciples, long resigned to their people’s humiliation and subjugation, dream of a kingdom of power and influence in which ambition is exalted; Jesus explains to them (yet again) that the Messiah's reign will be a kingdom of spirit and conversion in which humble service to others is exalted. Jesus outlines here the great paradox of discipleship: Do you wish to be first? Then become last. Do you seek to attain greatness? Then become small. Do you want to be masters? Then become the servants of those you wish to rule. To emphasize the point, Jesus picks up a little child and places the child in the midst of these would-be rulers and influence peddlers. A child has no influence in the affairs of society nor offers anything to adults in terms of career advancement or prestige enhancement; just the opposite is true: a child needs everything. To be “great” in the reign of God, Jesus says, one must become the “servant” of the “child,” the poor, the needy, the lost. To put another’s hopes and dreams ahead of one’s own, to bring forth and affirm the gifts of others for no other reason than the common good, to seek reconciliation at all costs is to be the “servant” Christ speaks of in today's Gospel. In their simple joy and wonder of the world they are constantly discovering, in their ready acceptance of our love, in their total dependence on us for their nurturing and growth, children are the ideal teachers of the Spirit of humble servanthood and constant thanksgiving that Jesus asks of those who would be his followers. The poorest and neediest, the forgotten and the rejected, the “least” and the “lowliest” – represented by the child in today’s Gospel – are signs of God’s grace in our midst. “Child-like faith” is never dissuaded or discouraged, never becomes cynical or jaded, never ceases to be amazed and grateful for the many ways God reveals his presence in our lives. The power of such “simple faith” is its ability to overcome every rationalization, fear, complication and agenda in order to mirror the selflessness of Christ Jesus. Mom — or Dad — is feeding the baby. The child is sitting up in the high chair, wearing a bib that will do little to prevent food from covering the baby’s clothes and face and hair; the child has no interest in food, having discovered that the chair’s plastic tray makes a great drum. Mom has prepared a small dish of pureed vegetables for the baby’s lunch. She loads a baby-size spoon with the greenish goop and pilots the spoon towards the child’s mouth. What happens next? If you’ve ever fed a baby, you know. First, Mom instinctively opens her own mouth wide. Only then will the baby follow suit. That’s because it’s impossible to spoon-feed a baby without opening your own mouth wide as you bring the food in for a landing. Feeding a child is a great image for appreciating Jesus’ point in today’s Gospel. Catherine O’Connell-Cahill writes in At Home With Our Faith [September 2007] that, as parents hand on their faith to their children, “we find that our own spiritual hunger is being fed, too. The experience can bring us back to church or prompt us to update what we know and believe, as we grow from the faith of childhood to a more appropriate version.” Christ calls us to embrace the simple but profound faith that we seek to teach our children: to love God and one another with honesty and faithfulness, without condition or expectation, putting aside every “adult” rationalization and agenda. Only in “opening” our own hearts to Jesus’ Gospel of uncomplicated and straightforward kindness, compassion, generosity and forgiveness, we can help our sons and daughters become authentic followers of the Jesus of selflessness and compassion. Mohamed Ali, the one-time heavy weight champion would often boast, "I am the greatest! ", and people believed he was. We may not openly claim to be the greatest in any particular field but deep down we like to feel that we are on the top, we belong to the elite, second to none. We all play the power game in one way or another and much of our behaviour is aimed at asserting: "I am No.1!" For that matter, who is the greatest in the Kingdom of God? Is my life running on man-power or God's power? May His word challenge us to be powerless in His Kingdom. The first reading from the book of Wisdom reminds us that often the just man has to endure suffering not because he has done evil, not because he has sinned but precisely because He is walking the path of justice, the path of truth, and the path of God. Because of his upright life others feel threatened, others feel uncomfortable, others feel guilty and challenged and so they retaliate, they hit out at the just person who stands for God and His values. When we are put to the test do we resort to proving how tough we are, or are we ready to accept our powerlessness so that God can reveal His power and presence in our lives? King Oscar II, monarch of Sweden and Norway at the turn of the century, enjoyed visiting schools and talking informally to the pupils. Calling on a village school one day, the king asked the pupils to name the greatest kings of Sweden. The answers were unanimous: Gustavus Vasa, Gustavus Adolphus, Charles XII. The teacher was embarrassed with the response so she leaned over to one little boy and whispered something in his ear. "And King Oscar," proclaimed the child. "Really? And what has King Oscar done that is so remarkable?" asked the King. " I-I-I don't know." stammered the confused child. "That's all right, my boy," said the king. "Neither do I." In the Gospel, as they come down the mountain, Jesus tells his disciples that he will have to suffer, be handed over and put to death. But the disciples do not want to understand what Jesus is speaking about. While Jesus is talking of being powerless in the face of suffering and death, they are talking of who among them is the greatest of all! For the apostles and maybe for us what matters is power, to show, to exercise authority, to make known who is the boss. For Jesus what mattered was the power to submit to God's will, the power to submit to others, to trust in His Father's power rather than his own. To drive the point home, Jesus says, "If you want to be first in God's kingdom, first in God's eyes, you have to be ready to be last of all, to be servant of all." The disciples still do not understand the point that Jesus is trying to make; so Jesus takes a little child present, sets him in the centre and says to his disciples: "Anyone who welcomes one of these little children in my name, welcomes me, and anyone who welcomes me, welcomes not me but the one who sent me." What is the point Jesus is making through this enigmatic statement? Why did Jesus use a little child? In the time of Jesus the child had no rights till it grew up to be an adult. Yet God came to us in the form of a child, totally dependent on others. Jesus in today's Gospel once again affirms his readiness to give up all power, to submit to suffering, to submit to death itself, the ultimate loss of the power of life. In embracing the child, Jesus is embracing weakness, is affirming his choice of being on the side of the powerless, who believe not in their own strength but rely totally in the power of God. Are we ready to embrace our weakness to experience His power in our lives? Peter said: "Of course without doubt, I am the most important! Didn't he call me the rock on which that community of his is going to be built?" John said: "I am sorry for you. What you say might be true, but that is only a question of administrative bureaucracy. The fact that you might be a good administrator does not make you the most important one. You should look for something else. You should be attentive to something more important. You should look for his love, and if you do that, well, he loved me most." Then Judas spoke: He said: "The most important fellow is the man with the money. You don't need to be a Marxist or a capitalist to know that. The world is ruled by money, and to whom did he entrust his money? To me, and that is why…" Phillip spoke: "All that is very nice. Do you remember when he had that catering problem in the desert with all those thousands, when nobody knew what to do, him included? He turned to me for advice. I am sorry for you but he asked me!" Dr. Charles Mayo with his father and brother founded the famous Mayo Clinic in Rochester, Minnesota. One time a group of European medical experts were guests of Dr. Mayo at his home. According to the custom of their homeland the guests placed their shoes outside their bedroom doors to be polished during the night. Dr. Charles was the last to retire. As he went to his room he noticed the shoes. It was too late to wake up any of the servants. With a sigh he gathered up all the footwear, hauled them into the kitchen, and spent half the night polishing them. There is a legend told about Abraham in the Mideast. According to the legend, he always held off eating his breakfast each morning until a hungry man came along to share it with him. One day an old man came along, and of course Abraham invited him to share his breakfast with him. However when Abraham heard the old man say a pagan blessing over the food, he jumped up and ordered the old man from his table and from his house. Almost immediately, God spoke to Abraham. "Abraham! Abraham! I have been supplying that unbeliever with food every day for the past eighty years. Could you not have tolerated him for just one meal?" 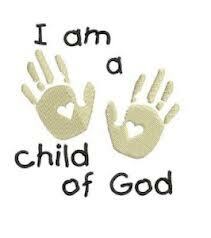 We are all children of God. God has no grandchildren! When Nelson Mandela was a student lawyer in Johannesburg he had a friend whose name was Paul Mahabane. Mahabane was a member of the African National Congress (ANC), and had the reputation of being a radical. One day the two of them were standing outside a post office when the local magistrate, a white man in his sixties, approached Mahabane and asked him to go buy him some stamps. It was quite common in those days for a white person to call on a black person to perform a chore. Paul refused. The magistrate was offended. "Do you know who I am?" he said, his face turning red with anger. "It is not necessary to know who you are," Mahabane replied. "I know what you are." The magistrate boiled over and exclaimed, "You'll pay dearly for this," and then walked away. That white man was convinced that he was superior to Mahabane simply because he was a magistrate. And it had become second nature to him to expect others, especially if they were black, to serve him. Today one of the games most people play is one-upmanship. Everyone seems to want to reach the top to show others that they have made it and that they are better than others. To prove that they are better than others, people go to great lengths to prove their superiority. Greatness is equated with strength and power. But often, it is the weak and insecure who display their power to hide their weakness. Jesus reveals that the least is the greatest in God’s eyes! 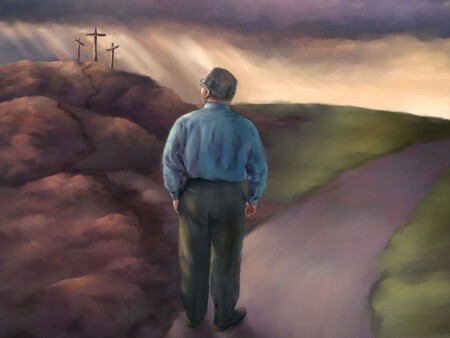 The first reading from the book of Wisdom reminds us that often the just man has to endure suffering not because he has done evil, not because he has sinned but precisely because He is walking the path of justice, the path of truth, the path of God. Because of his upright life others feel threatened, others feel uncomfortable, others feel guilty and challenged and so they retaliate, they hit out at the just person who stands for God and His values. When I am in the presence of lawless persons, of people who live according to worldly standards, does my life confront them? If I am truly a person committed to God, I do not have to sit in judgment over people, I don’t have to necessarily point out their wrongdoing, my life itself, the way I live, the way I act, should speak loudly of the values I believe in. The silent witness of the prophet’s life spoke more loudly than his words! In the Gospel we have a juxtaposition of two different situations, two value systems. As they come down the mountain, Jesus tells his disciples that he will have to suffer, he will be handed over to the mob and put to death. The disciples heard what Jesus related, but they do not understand, and do not want to understand what Jesus is speaking about. In fact while Jesus is talking of being powerless in the face of suffering and death, they are talking of who is the greatest of all! 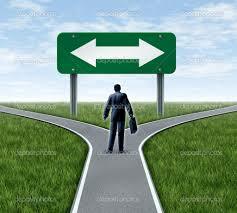 Here we have a confrontation of values and life styles. For Jesus what mattered was real power: the power to submit to God’s will, the power to submit to others, not to exercise power but to be helpless and trust in His Father’s power rather than his own. To drive the point home, Jesus says, “If you want to be first in God’s kingdom, you have to be ready to be servant of all.” In other words, if you want to be the greatest, then you have to be the least, the servant, the one who does not give orders but does what he is ordered. God’s ways are not our ways; God’s values are so different from ours: to be powerful, you have to be weak! What is the point Jesus is making through this enigmatic statement? Jesus in today’s Gospel once again affirms his readiness to give up all power, to submit to death itself, the ultimate loss of the power of life. In embracing the child, Jesus is embracing weakness, is affirming his choice of being on the side of the powerless, who believe not in their own strength but rely totally in the power of God. Are we ready to embrace weakness to experience His power in our lives? Dr Charles Mayo, with his father and brother founded the world famous Mayo Clinic in Rochester. One time a group of European medical experts were guests of Dr Mayo at his home. According to the custom, the guests placed their shoes outside their bedrooms to be polished during the night. Dr Charles was the last to retire. As he went to his room he noticed the shoes. It was too late to wake up any of the servants. With a sigh he gathered up all the footwear, hauled them into the kitchen, and spent half the night polishing them. 1) “The most powerful woman in the world!" 1951). One passenger called her a "real heroine." A congressman labeled her the bravest American in history. 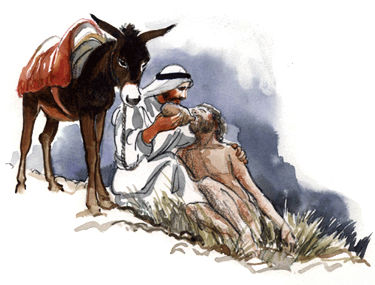 Today’s gospel challenges Christians to serve others with Frankie,s dedication and sacrificial commitment. One man who had an enormous impact on his company was the founder and former CEO of Wendy's fast-food restaurants, Dave Thomas. Dave Thomas' life was a remarkable success story. Adopted as a child, he never finished high school. In his book, Well Done: the Common Guy's Guide to Everyday Success, Dave said he got his MBA long before his G.E.D. He says he has a photograph of himself in his MBA graduation outfit--a snazzy knee-length work apron. He claims to be the only founder among America's big companies whose picture in the corporate annual report shows him wielding a mop and a plastic bucket. That wasn't a gag. He calls it leading by exampleeans Mop Bucket Attitude. It means a commitment to service. Dave Thomas, who died in 2002, had a commitment to service. [(Harper Collins, 1994), p. 159. Cited by Dave Redick, That's what Jesus wants from his disciples--a Mop Bucket Attitude. We exist to serve, not to be served. That's the secret of happiness in any job--to see it as a calling, a vocation, an opportunity. Tony Campolo, used to say, "If you ever start to feel proud, thinking that you are somebody great, just remember that soon after your body has been lowered into the grave, your family & friends will be eating potato salad and telling jokes, and you’ll be history." Did you hear about the pastor who prepared a great message on humility. But he was waiting for a bigger congregation to preach the sermon to! Another pastor was given an award for humility. A week later, the congregation took the award back because the pastor displayed it in his office! “Father, I have a besetting sin, and I want your help. I come to church on Sunday and can’t help thinking I’m the prettiest girl in the congregation. I know I ought not think that, but I can’t help it. I want you to help me with it." The pastor replied, "Mary, don’t worry about it. In your case it’s not a sin. It’s just a horrible mistake." Winston Churchill was once asked, "Doesn’t it thrill you to know that every time you make a speech, the hall is packed to overflowing?" "It’s quite flattering," replied Sir Winston. "But whenever I feel that way, I always remember that if instead of making a political speech I were being hanged, the crowd would be twice as big." The word "humility" means literally a low estimate of self. But this does not imply self-deprecation. When you hear someone deprecating himself, usually you can put it down as a sort of counterfeit humility. Someone has said, "The true way to be humble is not to stoop until you are smaller than yourself, but to stand at your full height before some higher nature that will show you how small your greatness is." "Walk humbly with thy God." Here is where we learn true humility. Walking with God, seeing ourselves by the side of His greatness, we see how little we are. And seeing how little we are is the first step toward becoming what we can and ought to be. We never become truly great, we never do our best work until we are "clothed with humility"; until, like our Lord and Savior, we are willing to live to serve others. Jesus and his disciples were coming to the town of Capernaum. As they entered the house where they would be staying, he asked his disciples, "What were you arguing about on the road?" But they kept quiet, says the writer of Mark's Gospel, because on the way they had argued about who was number one among them. So, the disciples were human just like you and I are human. Who doesn't want to stand out? Some of the greatest people who have ever lived were also among the most ambitious. It is said that Michelangelo prayed: "Lord, grant that I may always desire more than I can accomplish." Abraham Lincoln often said to himself as a boy studying by the pine log fire at night: "I will study and get ready and perhaps my chance will come." And, indeed, it did come. Having an African-American president reminds us of other people of color who have succeeded against even greater odds. They, too, were driven to succeed. Who can help but be impressed by the accomplishments, for example, of George Washington Carver? Carver was born to an African slave mother. He never knew his father. But he wanted to make a difference in the world, and he did! Carver became one the greatest scientists in American history. The disciples were human beings. They wanted their names to be in lights just as you and I want to stand out from our peers. There is nothing wrong with that as long it does not cause us to mistreat others or betray our values. My guess is Jesus wanted them to be ambitious because ambitious people get things done. He just wanted them to be ambitious in the right way. for the want of the rider the battle was lost." It is still true. For want of a quiet, caring intimacy, a child's primary sense of self-worth is lost. And for want of security and self-worth, the child is lost. In most churches I've known, members find it quite easy to pass a youth by; they are more timid to engage a child than a stranger in conversation. Frequently, when youth are on committees, little sensitivity is expressed toward making them comfortable and enabling them to contribute. There was a tribe of Indians who lived a long time ago in the state of Mississippi. They lived next to a very swift and dangerous river. The current was so strong that if somebody happened to fall in or stumbled into it they could be swept away downstream. One day the tribe was attacked by a hostile group of settlers. They found themselves with their backs against the river. They were greatly outnumbered and their only chance for escape was to cross the rushing river. They huddled together and those who were strong picked up the weak and put them on their shoulders; the little children, the sick, the old and the infirm, those who were ill or wounded were carried on the backs of those who were strongest. They waded out into the river, and to their surprise they discovered that the weight on their shoulders carrying the least and the lowest helped them to keep their footing and to make it safely across the river. Jesus is trying to teach the disciples an object lesson about greatness, about servanthood, about leadership. 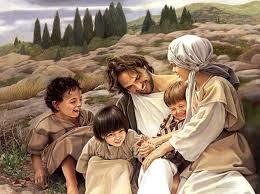 He is saying to them and to us, "Have you lost the childlike joy and love and faith that once were yours?" He is also saying to them and to us, "If you want to walk on secure ground in this world it helps to carry someone with you." 1) “There are no professionals in dying.” In George Seaton’s film The Proud and the Profane, the steps of a young nurse are traced to a place called Iwo Jima where her husband had been killed in World War II. She goes to the cemetery where her husband lies buried and turns to the caretaker, a shell-shocked soldier, who had seen her husband die. “How did he die?” she asks. “Like an amateur,” he replies. “They teach you how to hurl a grenade and how to fire a mortar, but nobody teaches you how to die. There are no professionals in dying.” Most of us avoid the subject of death. It’s a taboo subject. We pretend that we are going to live forever. But the only way we can keep up that pretense is through massive denial. Woody Allen said, “When I die, all I want is just a few of my good friends to gather around the casket and do everything in their power to bring me back to life.” Everyone dies – that we can accept. But somehow, we think we will be the exception. 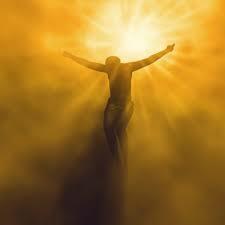 Jesus knew of the innate fear in the heart of the disciples concerning death, — his death and theirs. Jesus also knew that they would all pay a terrible price for their future ministry. So, in today’s Gospel, Jesus teaches the apostles that he is going to become the Messiah by his death and Resurrection. 3) “Baby, tell me what God feels like.” Soon after the birth of her brother, four-year-old Sachi began to ask her parents to leave her alone with the new baby. Worried that she might feel jealous and want to hit and shake the newborn, her parents said no. But the little girl’s pleas to be left alone with her brother became more urgent, and since she treated the baby lovingly and gently, her parents decided to allow it. Delighted, Sachi went into the baby’s room and closed the door, but it opened slightly, allowing her curious parents to peek in and listen. They watched as their daughter put her face close to her baby brother’s and whisper, “Baby, tell me what God feels like. I’m starting to forget.” (Dan Millman, Chicken Soup For the Soul, Health Communications, Inc., Deerfield Beach, FL: 1993). The innocence of this little four-year-old-girl is disarming, particularly to adults grown crusty and cynical with age. When Jesus recommended that his disciples emulate the little child that he set in their midst, he reminded them of the innocence that they had long since outgrown. Indeed, their innocence had been replaced by ambition as to who was most important among them. By offering the example of the child and by calling them to be the servant of all, Jesus challenged them to rethink their attitude toward him, toward God and toward one another. Those who would rank first among them as leader must become the least among them. (Sanchez files). 4) “Franz Josef, a poor sinner in need of the mercy of God”—This is a story that I have often heard told in various forms over the years, and that I recently had the opportunity to verify in person during a visit to the Franciscan Church in Vienna: For 900 years, members of the mighty Hapsburg dynasty ruled over large parts of Central and Eastern Europe—an area that would sometimes be known as the Austro-Hungarian Empire. The majority of the Hapsburg rulers (including the last reigning Hapsburg, the Empress Zita, who died in 1989) are buried in the subterranean crypt of a Church (the Kapuzinergruft) run by the Capuchin order of Franciscan monks (the crowned skull at left is part of one of the Hapsburg coffins). Hapsburg funerals were distinguished by a particularly solemn and evocative ritual. As the funeral procession approached the (closed) Church doors, an imperial dignitary would knock and seek admittance. “Who is it who seeks entrance?” a monk would call out from within the Church. “It is His Royal Highness, Franz Josef, by the grace of God Emperor of Austria and Hungary,” the dignitary would answer; the monk would reply, “I do not know him”. A second time, the dignitary would knock, and a second time the monk inside would ask who sought entry to the Church. “His Serene Majesty, the King of Bohemia, Dalmatia, Croatia, Slavonia and Galicia, the Protector of Jerusalem and the Grand Duke of Tuscany and Krakow…” (the list included more than 30 titles)—to which the monk again replied, “I do not know him”. A third and final time, the official knocked on the doors, and the monk once more asked the identity of the person seeking admission to the church. This time, however, the official answered humbly, “Franz Josef, a poor sinner in need of the mercy of God”—at which point the doors of the Church were swung open, and the funeral procession was allowed to enter, and the Requiem Mass could begin. Father Gerry Pierse, CSsR; http://www.bible.claret.org/liturgy/daily/sundays_pierse/cycleB/B_25thSunOT.htm) The model of greatness in the kingdom of God, presented by Jesus in today’s Gospel, is the powerless child. 5) Persecution of the just: Elie Wiesel, Jewish writer and Nobel Peace Prize winner tells a disturbing story in one of his books about Auschwitz. As soon as children arrived by train at Auschwitz, together with the elderly and the sick, they were immediately selected for the gas chamber. On one occasion a group of children were left to wait by themselves for the next day. A man asked the guards if he could stay with the children during their last night on earth. Surprisingly, his request was granted. How did they spend that last night? He started off by telling them stories in an effort to cheer them up. However, instead of cheering them up, he only succeeded in making them cry. So, what did they do? They cried together till daybreak. Then he accompanied the little ones to the gas chamber. Afterwards he returned to the prison yard to report to work. When the guards saw him, they burst out laughing. -The story has most of the ingredients of our reading. In it we see the brazenness of the evil-doers, the persecution of the innocent, and the apparent triumph of evil, which is the subject of the first reading. The man’s heroic act of service towards the little ones shines out in the darkness of Auschwitz. He risked his life to befriend the little ones. He had no answers to give them, no salvation to offer them. All he could do was suffer with them and accompany them on their last journey. Though he was an ordinary person with no rank or status of any kind, he was undoubtedly the greatest person in that sad place on that sad occasion. What made him great was his goodness. (Flor McCarthy in Sunday and Holy Day Liturgies; quoted by Fr. Botelho). 7) “I cannot lift my arms or bend my knees.” Once upon a time there was a squire who longed to be a knight. He wanted to serve his king and be the most honorable and noble knight who ever lived. At his knighting he was so overcome by dedication that he made a special oath. He vowed to bow his knees and lift his arms in homage to his king and him alone. This knight was given the task of guarding a city on the frontier of the kingdom. Every day he stood at attention by the gate of the city in full armor. Years passed. One day as he was standing at attention guarding his post, a peasant woman passed by with goods for the market. Her cart turned over spilling potatoes and carrots and onions everywhere. The woman hurried to get them all back in her cart. But the knight wouldn’t help the poor woman. He just stood at attention lest he break his vow by bending his knees to help pick up the woman’s goods. Time passed and one day a man with one leg was passing by and his crutch broke. “Please help me noble knight,” he requested. “Reach down and help me up.” But the knight would not stoop or lift a hand to help lest he break his vow. Years and decades passed, the knight was getting old. One day his grandson came by and said, “Grandpa pick me up and take me to the fair.” But he would not stoop lest he break his vow to the king. Finally, after years the king came to visit and inspect the knight. As the king approached the knight stood there at attention. The king inspected him but noticed that the knight was crying. “You are one of the noblest knights I have ever seen why you are crying?” “Your majesty, I took a vow that I would bow and lift my arms in homage to you, but I am unable to keep my vow. These years have done their work and the joints of my armor are rusted. I cannot lift my arms or bend my knees.” With the loving voice of a parent the King replied, “Perhaps if you had knelt to help all those who passed by and lifted your arms to embrace all those who came to you, you would have been able to keep your vow to pay me homage today.” Do you want to be God’s number one? Then practice stooping. Practice the art of humility. 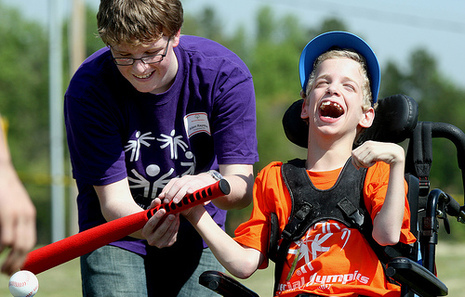 Reach down to give a hand to someone in need. Sacrifice your wants for the needs of another. 8) Episcopal careerism vs child-like innocence: Father John R. Donahue, (www.americamagazine.org): The Gospel reminds the Church today of the dangers of ambition and posturing for positions of power. In recent years the genie of ecclesiastical ambition has been again let out of the bottle, so much so that Cardinal Gantin, dean of the College of Cardinals and former prefect of the Congregation for Bishops, deplored episcopal careerism and said he was shocked by bishops seeking promotion from smaller to larger dioceses (America 6/19/99), a view echoed two months later by Cardinal Ratzinger … Yet the pilgrim Church of God’s people continues the work of justice, and the unprotected and vulnerable are welcomed and protected. Jesus has many unnamed companions today as he follows the path of self-giving for others that leads through death to resurrection. Only humility exalts. (Geneva Notes). 9) True Greatness: King Oscar II, monarch of Sweden and Norway at the turn of the century, enjoyed visiting schools and talking informally to the pupils. Calling on a village school one day, the king asked the pupils to name the greatest kings of Sweden. The answers were unanimous: Gustavus Vasa, Gustavus Adolphus, Charles XII. The teacher was embarrassed with the response, so she leaned over to one little boy and whispered something in his ear. “And King Oscar,” proclaimed the child. “Really? And what has King Oscar done that is so remarkable?” asked the King. ” I-I-I don’t know.” stammered the confused child. “That’s all right, my boy,” said the king. “Neither do I.” (Denis McBride; quoted by Fr. Botelho). 10) All God’s Children: There is a legend told about Abraham in the Mideast. According to the legend, he always held off eating his breakfast each morning until a hungry man came along to share it with him. One day an old man came along, and of course Abraham invited him to share his breakfast with him. However, when Abraham heard the old man say a pagan blessing over the food, he jumped up and ordered the old man from his table and from his house. Almost immediately, God spoke to Abraham. “Abraham! Abraham! I have been supplying that unbeliever with food every day for the past eighty years. Could you not have tolerated him for just one meal?” We are all children of God. God has no grandchildren! (Jack McArdle in And that’s the Gospel Truth; quoted by Fr. Botelho). 11) “Do you know who I am?”: When Nelson Mandela was a student lawyer in Johannesburg he had a friend whose name was Paul Mahabane. Mahabane was a member of the African National Congress (ANC), and had the reputation of being a radical. One day the two of them were standing outside a post office when the local magistrate, a white man in his sixties, approached Mahabane and asked him to go buy him some stamps. It was quite common in those days for a white person to call on a black person to perform a chore. Paul refused. The magistrate was offended. “Do you know who I am?” he said, his face turning red with anger. “It is not necessary to know who you are,” Mahabane replied. “I know what you are.” The magistrate boiled over and exclaimed, “You’ll pay dearly for this,” and then walked away. That white man was convinced that he was superior to Mahabane simply because he was a magistrate. And it had become second nature to him to expect others, especially if they were black, to serve him, ignoring the fact that both were God’s children. (Flor McCarthy in New Sunday and Holy Day Liturgies; quoted by Fr. Botelho). 12) “It can be hard work at times, but I enjoy it.” In Ireland, foster care is the preferred option for children and young people in care. Foster families open their homes to a child or young person who comes to live with them. This can be for a short time until the birth families are in a position to provide safe care for their child, or in some circumstances children/young people will need to be in care for a longer period of time. There was a woman in Dublin who in 1988 started short-term fostering –she works for a Catholic Adoption Agency. She receives the baby when he/she is two or three days old, and usually has the baby for three months. Then the baby is taken back by the natural mother, or adopted, or goes to long-term fostering. This dear woman, by no means well-off, has fostered in a short time, over forty babies. She says, “It can be hard work at times, but I enjoy it.” She enjoys it because she does it with love. “Anyone who welcomes one of these little children, welcomes Me”, would be a fitting epitaph of her life. (Flor McCarthy, New Sundays and Holy Day Liturgies; quoted by Fr. Botelho). #5: I am proud of my humility: Do you have humility like the man who wrote the best-selling books, Humility and Humility and How I Attained It and The Ten Most Humble Men in the World and How I Chose the Other Nine? # 6: Remember this old Sunday school song containing the basic servant-living theology: J.O.Y., J.O. Y. Tell you what it means: Jesus first, yourself last, and others in between. # 7: The humble pastor: Did you hear about the pastor who prepared a great message on humility. But he was waiting for a bigger congregation to preach the sermon to! Another pastor was given an award for humility. A week later, the congregation took the award back because the pastor displayed it in his office!